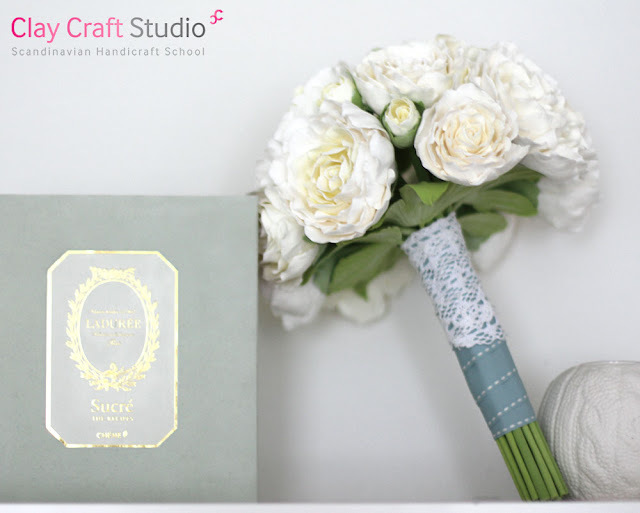 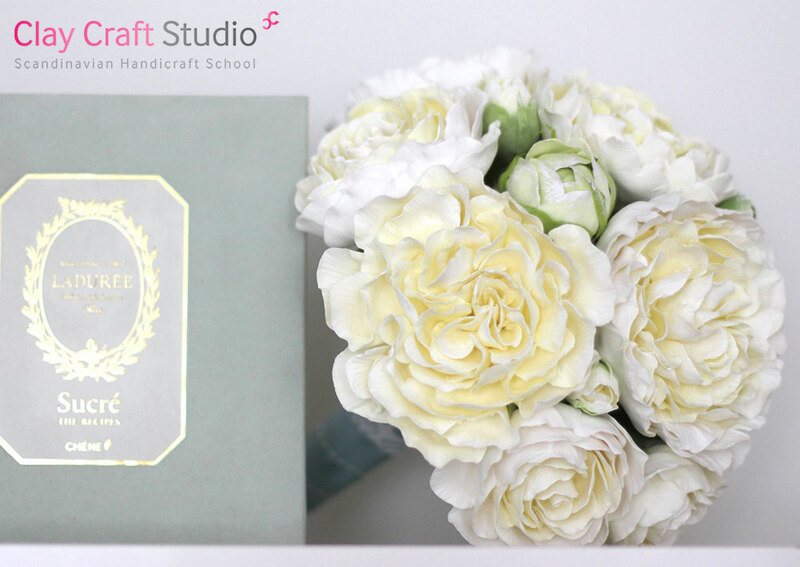 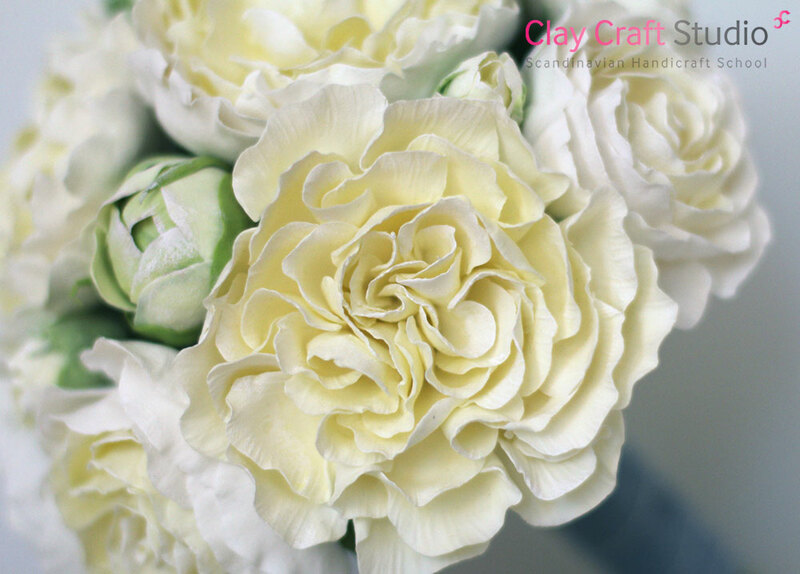 Recently I got an order for one more peony bouquet in off-white color, I had just two weeks to make the bouquet and to deliver it to Great Britain! 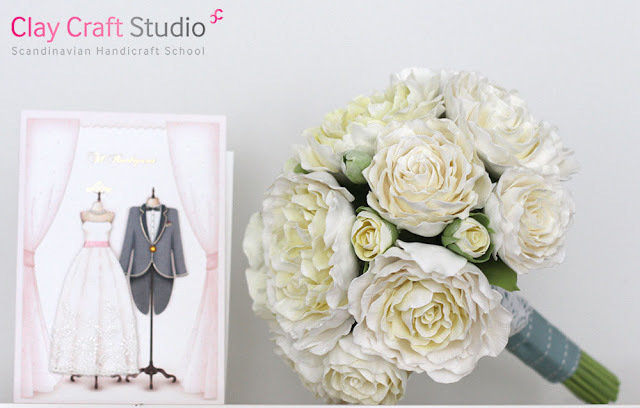 Luckily, the bouquet successfully arrived to London this week and will take part in the wedding this Sunday! So exciting! Looking forward to seeing photos from the wedding! 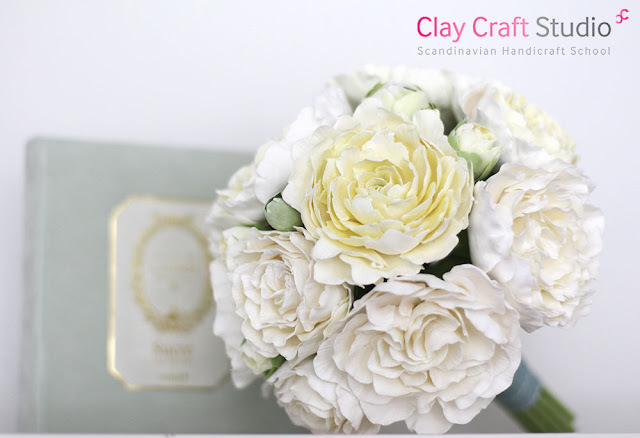 Will share them with you later! 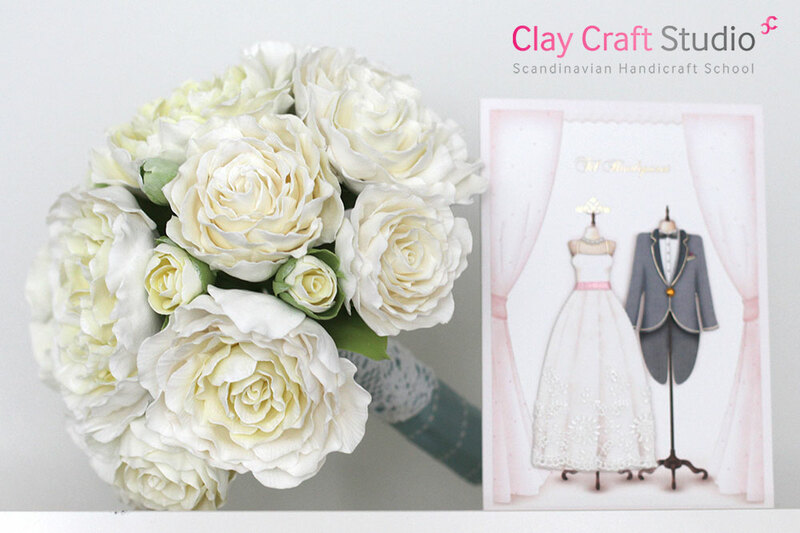 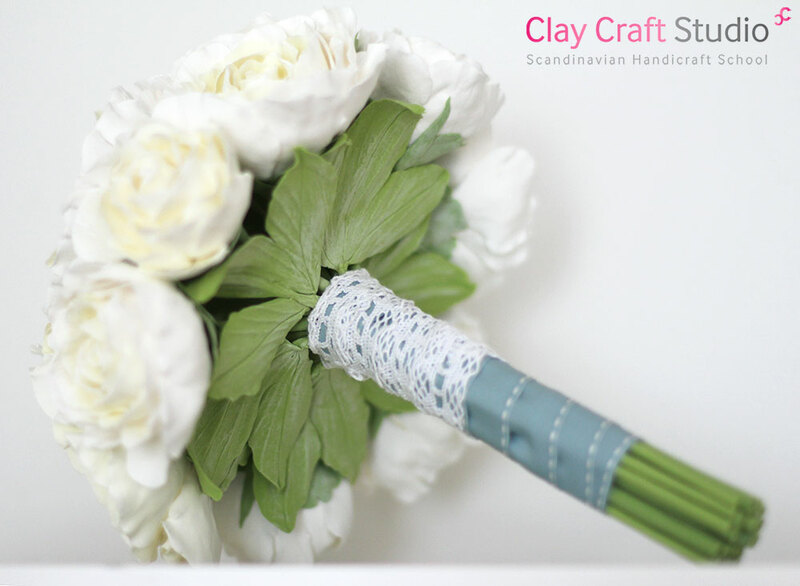 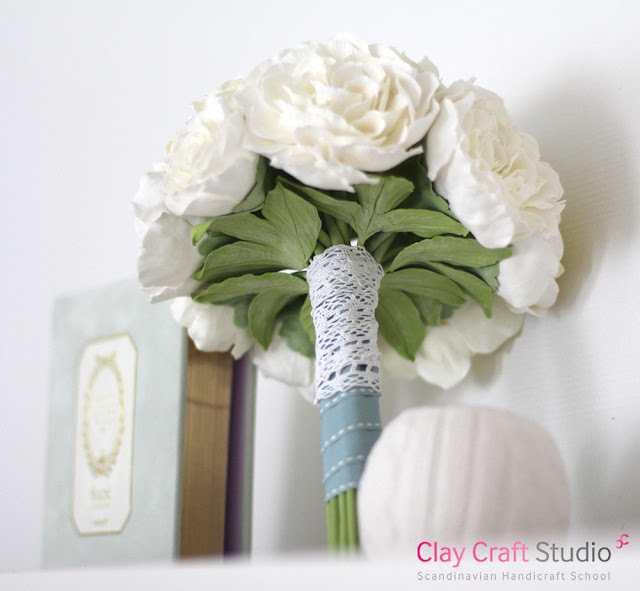 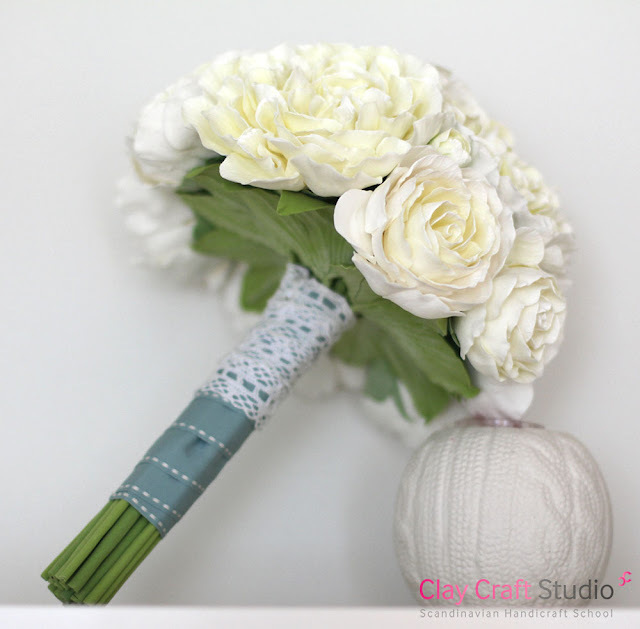 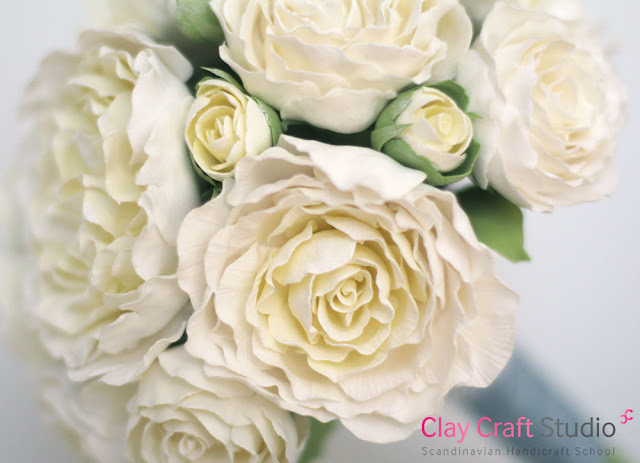 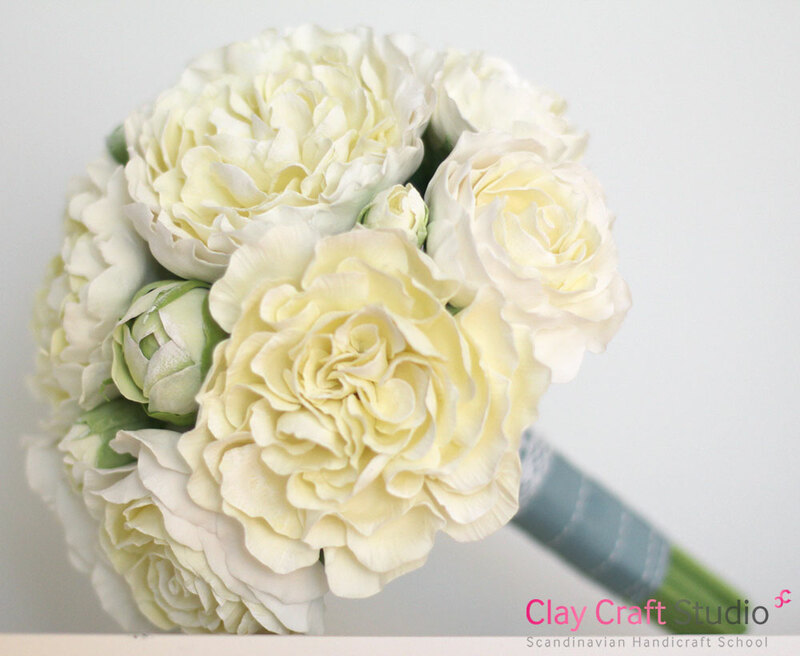 If you want to order bridal bouquet or flower arrangement for your special occasion, please send email to olga@claycraftstudio.com for more details.